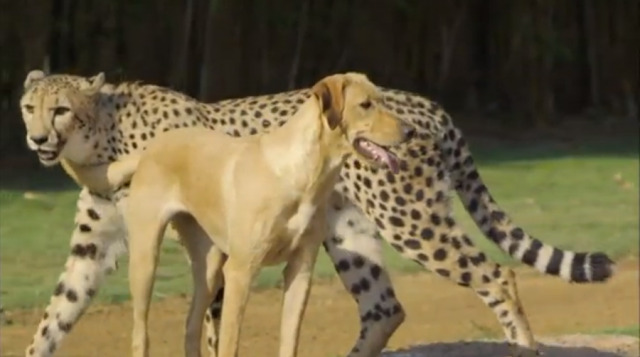 Kasi, a male cheetah,and Mtani, a female Labrador retriever,have been raised together since they were just weeks old.They have grown to depend on one another and can be seen playing together at Busch Gardens in Florida. 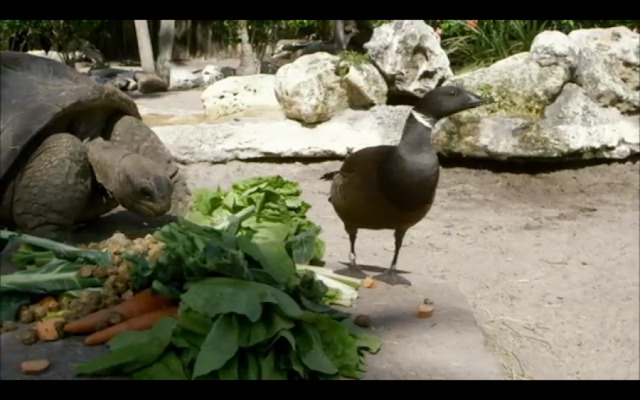 This male goose has partnered with a female tortoise for the last four years.He protects her,attacking anyone that gets too close,and always makes sure she eats enough before anyone else can get to the salad bar. 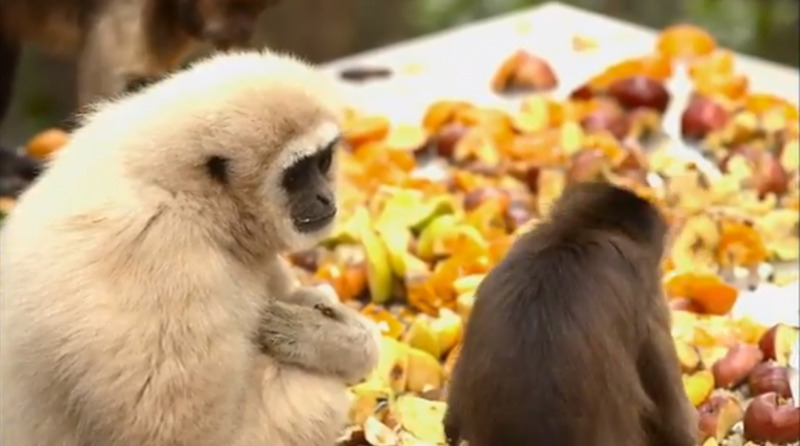 Atlas,a Gibbon monkey,at Monkeyland Primate Sanctuary in South Africa is only interested in developing friendships with capuchins instead of monkeys of his own species. He even protects the juveniles while they eat. 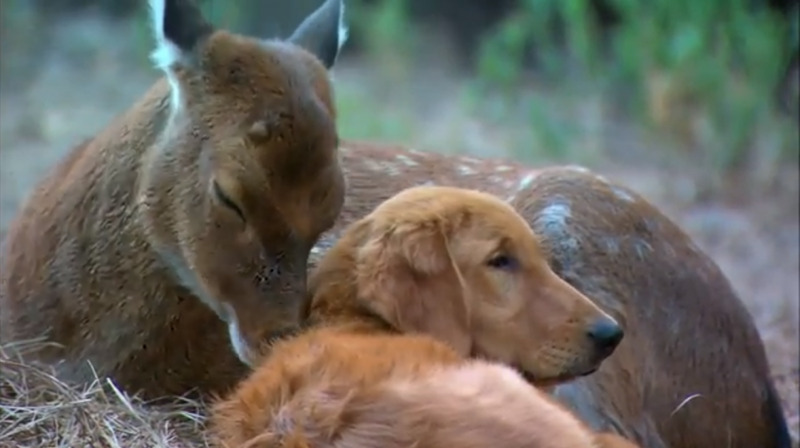 Ransom was a blind puppy adopted by Amy,a sitka Deer,at the Wild Heart Ranch in Oklahoma.The two play together, cuddle and lick each other.Even though Ransom regained his eyesight and can see that Amy is not like him,their relationship has not changed. 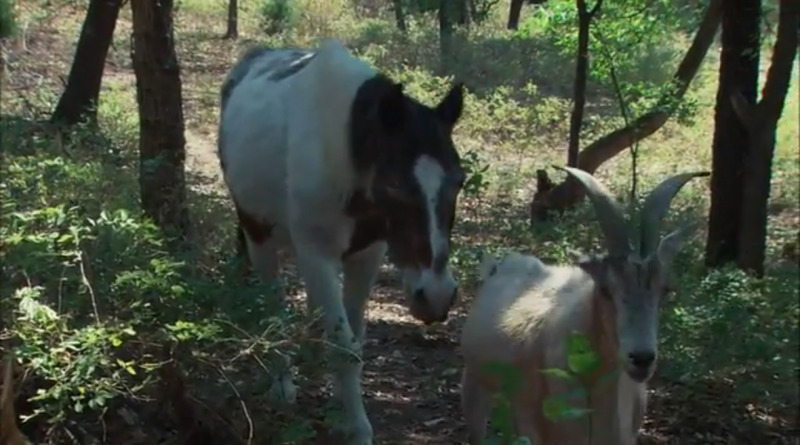 When Charlie the horse lost his eyesight, an old goat named Jack started guiding him in a grassy area where horses like to graze.Charlie follows Jack by listening to the sound of his footsteps,and once he finished eating, Jack leads him back home. 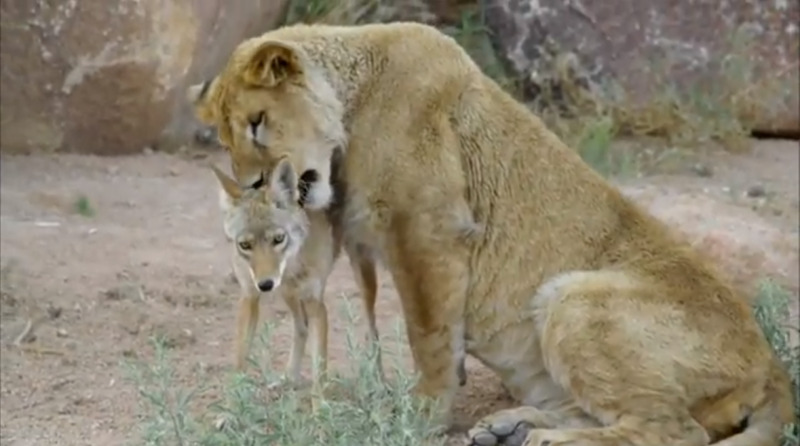 Riley and Anthony are a coyote and lion that were raised together since a very young age at Keepers of the Wild,an animal sanctuary in Arizona.These two have a very close bond even though the lion would probably eat the coyote in the wild. When they are playing and things get too rough for the small coyote, he lets out a little yelp and the lion knows to ease up. 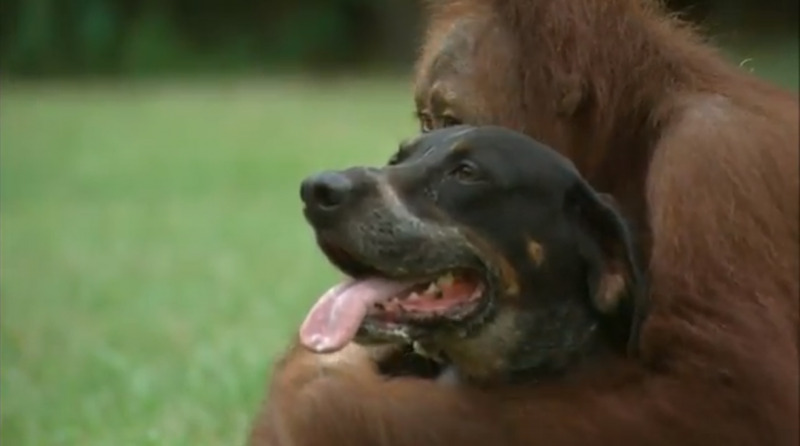 Surya the orangutan and Roscoe the dog randomly met one day and have been inseparable.They cuddle,play,go swimming,and and even share food with each other.